Cable business is still manpower intensive in India where many processes are still handled manually. There is little that cable operators have experimented with technology. Cable billing and payment management is one of critical process which has direct impact on the end consumers in terms of resentment and anger. Also manual billing and payment collection is not favorable to cable operator because billing revenues can be manipulated by collection agents. There is no control on cash flow collected by field agents also performance of individual collection agent cannot be tracked. Details of cash collected, pending & delayed collections have to be entered manually by collection agent back to the office. Thus reconciliation takes time & extra efforts. This also increases probability of manual errors. 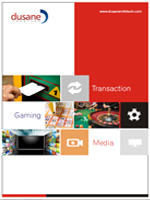 Also it is difficult to get any insights of consumer behavior in terms of paying habits. Dusane Infotech offers cable billing system for cable billing process automation to cable operators. It can be offered in both online & offline mode. Handheld mobile POS terminals are given to field collection agents. When agent visits consumer place, he can see the outstanding payment amount with the help of area wise data stored within handheld device. Agent then generates the bill using in built printer and hands over to consumer. Upon receipt of cash payment agent updates payment record into the handheld device and prints a receipt of same. All the transaction data stored on handheld device is later uploaded to central server via GPRS for reconciliation, monitoring & reporting. 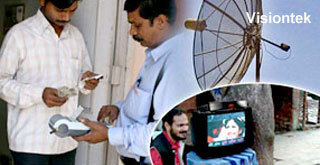 The same billing system can be used by DTH operators. Dusane’s cable billing system completely automates payment collection process for cable operators. Transparency in payment collection controls the manipulations and cash handling issues. Reconciliation efforts & time are reduced, there are less errors and cable operators get more accurate & timely reports. Tracking performance of field agents is possible. It is also possible for cable operators to better serve its customers by bringing in transparency and consistency in operators thus improving customer trust & loyalty towards cable operator.